In 2018, AHEAD celebrated 30 years of shaping a future where students with disabilities can succeed. 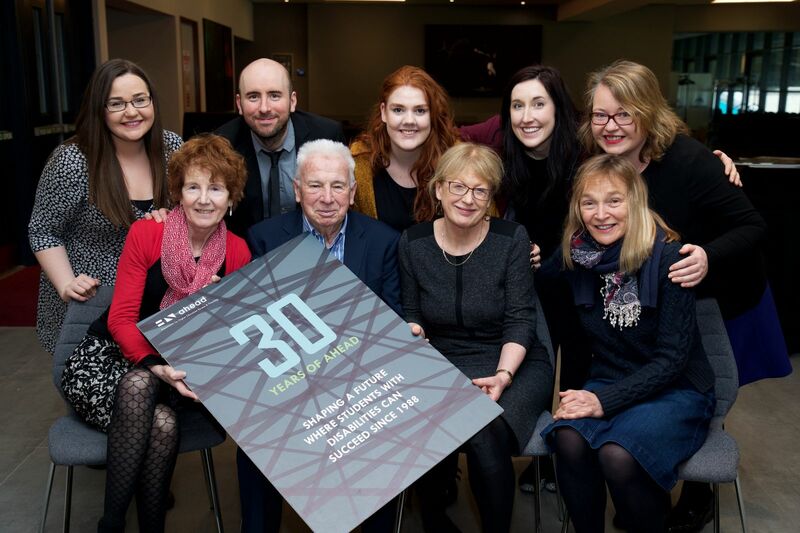 The origins of the organisation start in University College Dublin in 1988 when then Registrar Prof. John Kelly decided to do something about the challenges facing students with disabilities in his institution. Prof. Kelly led a movement right from the beginning which developed into the founding of AHEAD and he remained central to the organisation as Chair of the Board of AHEAD until 2005. AHEAD have launched the John Kelly Award for Universal Design in Teaching and Learning in honour of his work in the field. For more about this history of AHEAD, click here to read our story. What is the John Kelly Award? The John Kelly Award for Universal Design for Learning recognises the innovative practice of teaching staff in further and higher education engaging with the Universal Design for Learning (UDL) framework to deliver a more inclusive learning experience for their students. It is targeted at practitioners who have demonstrated their emergent commitment to UDL by undertaking the Digital Badge for Universal Design in Teaching & Learning and making exciting changes to their practice as a result of their participation in the badge. Shortlisted applicants will be granted free access to AHEAD’s annual conference on inclusive education and a platform to showcase their work at the conference and the eventual winner will receive €1,000 to go towards their continuing professional development in this area. As part of the National Forum for the Enhancement of Teaching & Learning's open access digital badge initiative, AHEAD and UCD Access & Lifelong Learning teamed up to create the digital badge for Universal Design in Teaching & Learning. In short, together we designed instructions and learning materials for a short introductory professional development course on universal design for learning and in partnership with the Forum, made these materials freely available to institutions interested in rolling it out locally by suitable course facilitators. Every participant who completes the course makes real change to their practice and receives the Forum's Digital Badge for Universal Design in Teaching & Learning in recognition of their work. You can find out more information about the digital badge for Universal Design in Teaching & Learning here. Who is Eligible to Apply for the John Kelly Award? The application criteria is simple – if you have completed the Digital Badge for Universal Design in Teaching & Learning in the 3 year period before Jan 16th 2019 and you feel that the changes you demonstrated in the assignment you delivered as part of the badge made a significant positive impact your student’s learning, then you are eligible to apply. You can only be shortlisted once for this award so if you have applied and been shortlisted before then you are ineligible. Please Note - Applications for the 2019 John Kelly Award are now closed. Once the submission date has passed, our award committee will prepare a 3 person shortlist. To be eligible to win the overall prize, shortlisted applicants must give a short presentation as part of the John Kelly Award session in the morning of Day 2 of the AHEAD Conference (March 21st 2019) about the changes they made to their practice as a result of the badge and how the badge has changed the way they think about teaching. An expert judging panel in attendance will then meet behind closed doors to discuss the shortlist and select an overall winner, which will be announced in the closing session of the event later that day. Shortlisted applicants will be granted free access to AHEAD’s annual 2 day conference on inclusive education and a platform to showcase their work and the eventual winner will receive €1,000 to go towards their continuing professional development in this area.